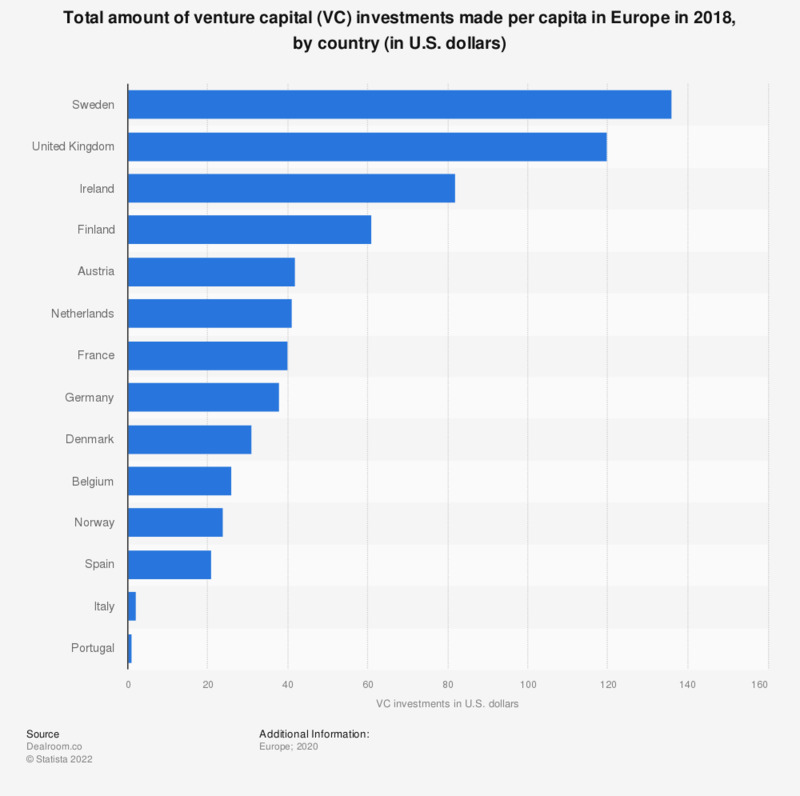 This statistic illustrates the total value of venture capital investments per capita in Europe in 2017, by country. In this year it can be seen that highest value of venture capital investment per capita were recorded in Sweden at 136 U.S dollars. It was followed by the United Kingdom (UK) at 120 U.S dollars. In Turkey the value of venture capital investments amounted to one U.S dollar per capita in 2017. * Excludes buyouts, secondary transactions, debt, lending capital, ICOs.